St George's Hospital was located in this beautiful building in London (Hyde Park Corner) from 1844 to 1954, when it was transferred to the new premises in Tooting. The building now hosts the Lanesborough Hotel. "In 1716 Henry Hoare, William Wogan, Robert Witham and Patrick Cockburn decided to open the Westminster Public Infirmary in Petty France, London in 1720, and quickly relocated to larger premises in Chapel Street in 1724. By 1732 the Governors were forced to seek an even larger building. The majority of the Governors favoured a house in Castle Lane but a minority preferred Lanesborough House. 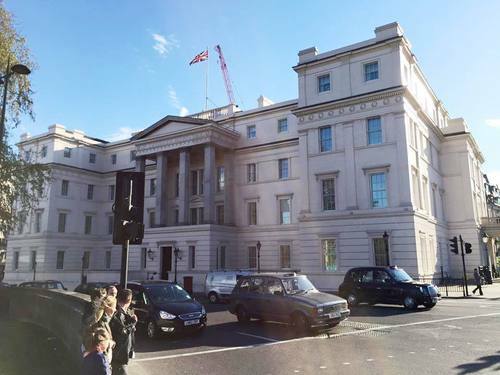 The original site was in Lanesborough House at Hyde Park Corner, originally built in 1719 by James Lane, 2nd Viscount Lanesborough in what was then open countryside. The new St George's Hospital was arranged on three floors and accommodated 30 patients in two wards: one for men and one for women. The hospital was gradually extended and, by 1744, it had fifteen wards and over 250 patients. By the 1800s, the hospital was slipping into disrepair. 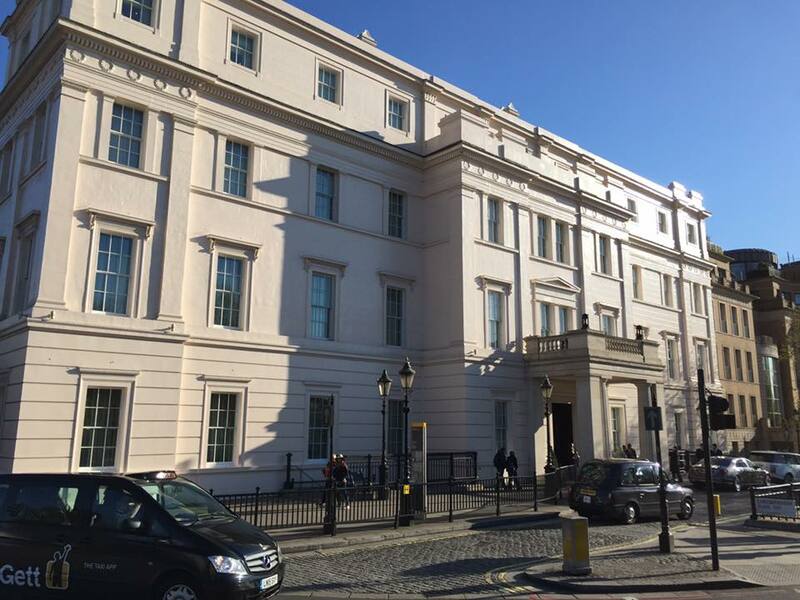 The old Lanesborough House at Hyde Park Corner was demolished to make way for a new 350 bed facility designed by architect William Wilkins. Building began in 1827 and was completed by 1844. By 1859, a critical shortage of beds led to the addition of an attic floor. This was soon insufficient and led to the creation of a new convalescent hospital, Atkinson Morley's in Wimbledon, freeing up beds at St George's for acute patients. A medical school was established in 1834 at Kinnerton Street and was incorporated into the hospital in 1868. The Medical School, now St George's, University of London, was built in the south-west corner of the hospital site in Hyde Park, with the main entrance in Knightsbridge and the back entrance in Grosvenor Crescent Mews. In 1948, the National Health Service was introduced and plans for a new site for St George's at The Grove Fever and Fountain Hospitals at Tooting were eventually agreed upon. In 1954, the Grove Hospital became part of St George's, and clinical teaching started in Tooting"1. 1. Wikipedia contributors, 'St George's Hospital', Wikipedia, The Free Encyclopedia, 19 April 2016, 17:21 UTC (accessed 1 May 2016).